Gemma graduated from University of Newcastle with a Bachelor of Podiatry in 2016. 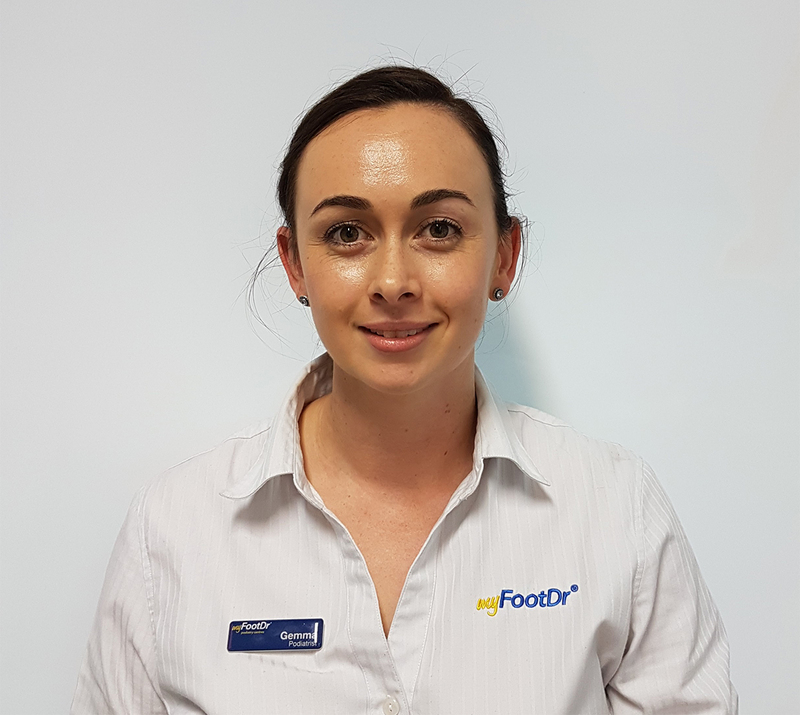 Gemma was born in Newcastle, NSW and moved to Brisbane to join the My FootDr team in Brookwater. Gemma has special interests in diabetic foot care, general care of the elderly and nail surgeries. Gemma has volunteered to provide free foot care to the homeless at an outreach program whilst at university and will volunteer for the 2017 Oxfam charity walk to support the charity walkers. When she isn’t at work she likes to travel, run, read and dance.